The search for Peter Orszag’s successor at the Office of Management and Budget hasn’t gotten a lot of attention. But it should. If the administration is talking about a policy change that involves spending or raising money, as most policy changes do, then the OMB director is going to be part of that discussion. As my colleague Noam Scheiber has reported, the two leading candidates to take over OMB have been Gene Sperling, a senior Treasury Department aide who held several positions in the Clinton Administration, and Laura Tyson, a Berkeley economist who also served under Clinton. Both have sterling credentials. Sperling worked on eight budgets during the Clinton years, from which he's developed a rare sense of policy and politics. Tyson is a highly respected economist who knows her way around Washington and could give the administration a public voice with authority. But the next OMB director might turn out to be a third contender: Jacob Lew, who goes by the name Jack. The Washington Post’s Al Kamen mentioned Lew, and only Lew, in his column on Friday. Several sources have told TNR that Lew is getting serious attention. Very serious attention. 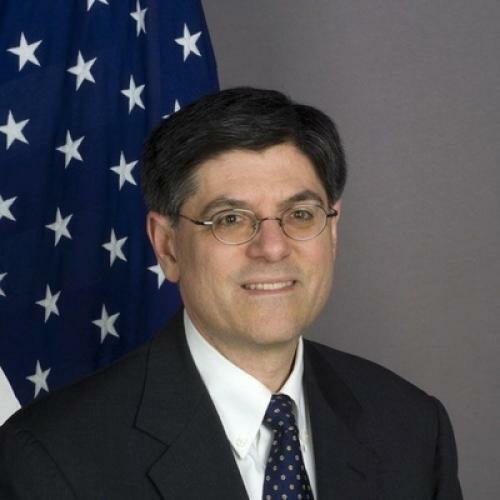 Who’s Jack Lew? He’s a top adviser to Hillary Clinton at the State Department, where he's deputy secretary for management and resources. Before that, he was chief of operations at New York University and then chief operating officer at Citi Alternative Investments. He also served in the Clinton Administration, as director of OMB. Yes, that’s the same job for which he’s now under consideration. Lew's politics aren't immediately apparent, at least to me, except that he's a lifelong Democrat who, at 12, campaigned for Eugene McCarthy and, at 23, started working for legendary House Speaker Tip O'Neill. Also, during his stint at OMB, Lew reportedly fought to reinstate welfare benefits for legal immigrants. Another plus, from the administration’s standpoint, could be that the Senate approved Lew’s State Department appointment quickly last year. If Obama taps him for OMB, Senate Republicans would look like hypocrites for making a fuss now--although, lord knows, hypocrisy has never stopped Republicans from opposing Obama before. Lew's experience with Citi could, certainly, give them such an opportunity. Jeff Liebman (who works at OMB now) and Rob Nabors (who works for Chief of Staff Rahm Emanuel) are supposedly the other contenders for the job. I’m not really qualified to say which one of the five candidates is best. But I'll offer a slightly informed opinion--and, seriously, only slightly--on the qualities the next OMB director ought to have. The ability to run the department and the ability to work with other members of the administration are obviously important--more, I think, than many outsiders realize. The entire executive branch depends on OMB for advice and support. Incompetent management there can easily wreak havoc elsewhere. In my ideal world, though, the next OMB director would also have another set of qualities: Strong policy beliefs and a willingness to express them. Orszag didn’t just take part in policy debates. Particularly early in the Obama term, he helped steer them. And while I didn’t necessarily share Orszag’s predisposition, which was a bit to my right, overall I think his was an important voice for balancing politics with policy. You only have to look at the health care plan, which retains Orszag’s key ideas about cost control, to see his impact. The Obama inner circle is not full of people like him. Most of Obama’s closest advisers are operatives and strategists--that is, people who focus on how to communicate, how to push proposals through Congress, and how to win elections. Although the president needs people like that around him, he also needs people with strong beliefs about policy. Advisers like Larry Summers have that, as does the president himself. But I tend to think the upper ranks would benefit from one more wonkish voice. Of course, if Obama picks a policy-focused OMB director who exerts a strong conservative influence on the administration, I’ll probably regret writing this.